10 km to the north east of Forcalquier, taking the D12 and D216. Revest Saint Martin is a small rural municipality installed peacefully in a beautiful green natural environment and vast fields. - From Saint-Martin, you will have a superb view of the entire area around Forcalquier, the Ganagobie plateau and the Valensole plateau. Be sure to visit Monsieur Combe's Agricultural museum, created on the personal initiative of this inhabitant of the village who collects farm machinery and tools. 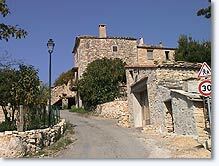 - The hamlet of La Blache is essentially a collection of houses. They have been restored with taste using local traditional material (stonework walls, slated roofs, colours that blend, etc.). You will enjoy a stroll through its narrow streets. 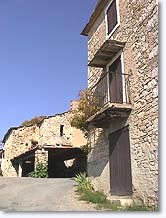 Its stairways and terraces give the village much of its character and form a superb architectural ensemble. - The Revest-Enfangat hamlet is perched on a crest above the Saint Etienne les Orgues valley and offers a superb panorama of the Lure Mountain. This magnificent, isolated, untouched site is a veritable invitation to contemplation. 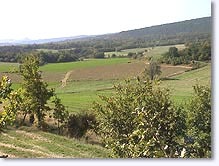 Fontienne (7km), Sigonce (9km), Forcalquier (10km).